It doesn’t matter which way you cut the demographics: men versus women, the under 25s versus the over 30s, gay versus straight, we’re all suffering from stress. In fact, in a 2018 mental health survey (click here) more than 74 per cent of UK adults have felt so stressed at some point over the year that they felt overwhelmed or unable to cope. And, therein lies the problem. There are actually two types of stress you see. 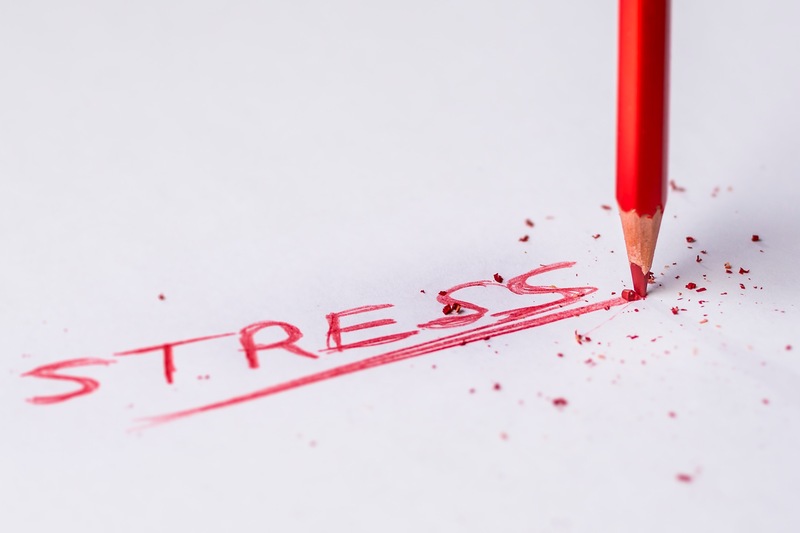 We can have good stress (also known as eustress) and, for this, think of the stress of getting married, or having a baby, or rollercoaster rides (if rollercoaster rides are something you enjoy), and the thrill of a deadline you’re cruising with ease. And we can have bad stress (or distress), think all of the above, and more, but though a very different filter. As a very broad definition, distress occurs when the demands or the constraints of the situation you are in exceeds your ability to cope. So, if there is a stressor (a thing that you find stressful) and you feel able to cope, then you experience the good kind of stress. However, if there is a stressor, and you feel that your ability to cope is compromised, or you feel overwhelmed by it, then the stress becomes bad stress, it becomes distress. And then, you’re in trouble. Stress is a catch all kind of term, really, and one that can lead to a whole host of emotional and behavioural problems. When they’re overwhelmed, people can become depressed, or anxious, and they can react angrily, feel guilty and more. They can use alcohol and drugs (either prescription or recreational) as unhealthy coping strategies, or self-harm and, even, contemplate suicide. In fact, of the 4,619 adults surveyed, one in three said they had indeed felt suicidal, whilst one in six had self-harmed as a direct result of stress. “Millions of us around the UK are experiencing high levels of stress and it is damaging our health. Stress is one of the great public health challenges of our time but it is not being taken as seriously as physical health concerns,” says Isabella Goldie, director of the Mental Health Foundation, which commissioned the research last year. But, people really do need to take it seriously; stress is the number one cause of staff absenteeism here in the UK, mainly because we are all working far to hard and for far too long each day. And yet, study after study has shown that people who go in on time, take regular breaks (including coffee breaks and a full hour for lunch) and who leave on time are healthier, happier, far more productive and much less prone to taking time off work sick than their stressed-out counterparts. Isn’t it time you instigated a health-care plan that allowed you to manage the pressures of life far more easily than you currently do? For those of you who have succumbed to stress (that’s 74 per cent of you, remember, or three out of every four people polled), psychotherapy and counselling can help. Cognitive Behaviour Therapy and Rational Emotive Behaviour Therapy, for instance, are both excellent tools for helping you to get things back under your control. Sadly, it can’t do much to help with our current political problems. Unless you’re feeling anxious that is.